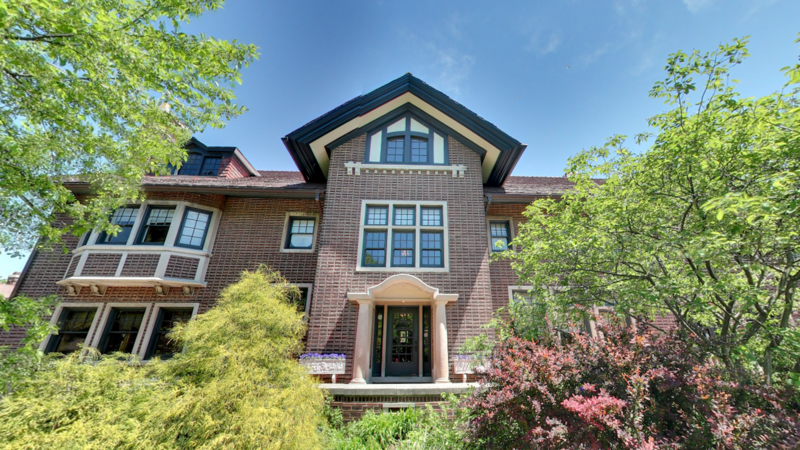 Rent Cheney Mansion | Corporate Events | Wedding Locations, Event Spaces and Party Venues. Cheney Mansion, reminiscent of a gracious English country home, was designed in 1913 by Charles E. White, Jr., a student of Frank Lloyd Wright. This 12,000-square-foot mansion boasts many handsome reception rooms, six bedrooms, seven bathrooms, and separate servants' quarters. Cheney Mansion is available for private parties, anniversaries, birthdays, dinners and corporate events, receptions, meetings and more! Tour group luncheons are available on week-days only, for groups of 25-5O. Planning a small Sunday birthday brunch, an informal baptismal luncheon, or maybe a Tea for your club members? If your guest list numbers 50 or less, call the mansion for information on its new Sunday Special. The $600 fee provides 3 hours for your event, from 11am-2pm. Food served must be pre-prepared and packaged by a licensed food handler, such as a bakery, restaurant or grocery store. No alcohol may be served. Cheney Mansion is often used for location filming, still photos shoots for catalog and advertising, filming for television commercials and feature films.With a variety of elegant room settings, fireplaces and 2 acres of beautifully landscaped gardens, Cheney Mansion is a favorite with photographers and artists. From scenes for The Untouchables TV series to commercials for a newspaper, Cheney Mansion is a favorite filming location.